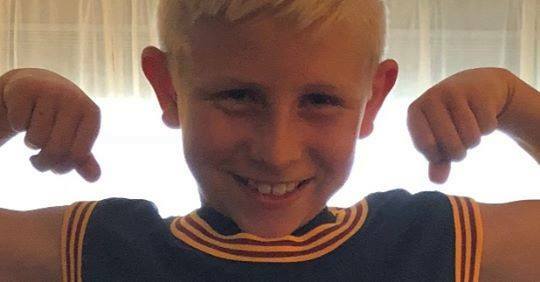 Ask anyone who knows Chase Hancock and they would say he is a sweet boy, FULL of energy, with a passion for sports and anything active!!! He is also a kind-hearted 10 year old who loves his family and friends dearly. On August 8, 2018 Chase was given a diagnosis of a rare form of Non-Hodgkin's Lymphoma (NHL) - Stage 3 Large Cell Anaplastic Lymphoma. This is a rare type of NHL (especially In Children), and can be fairly aggressive. Please join us in supporting Chase and his family with a "Race For Chase 5k"!!! The Race For Chase is being coordinated to bring together family and friends of the Hancock family, as well as our amazing community, to show our support and help Chase in his fight to BEAT cancer! All proceeds from the event will go directly to the Hancock family to help with the substantial financial strain of the treatments and hospital bills, as well as assist with time away from work that Chase's parents will experience, while they support their sweet boy!